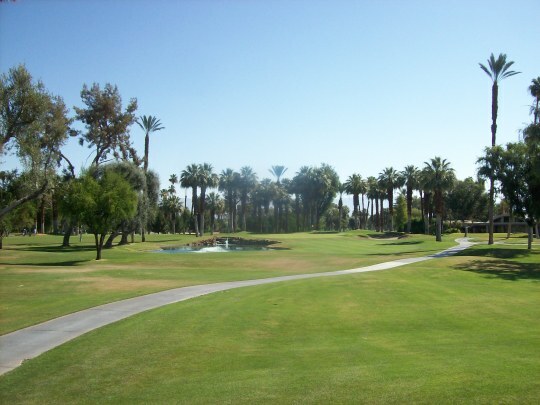 Every year, the SCGA organizes what they call the “Bob Hope Trail” as part of their casual member outing series. 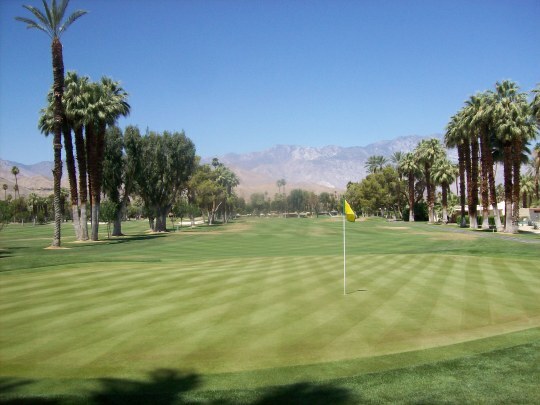 They line up four courses that were at some point part of the Bob Hope Classic tournament which has gone by many names over the years. 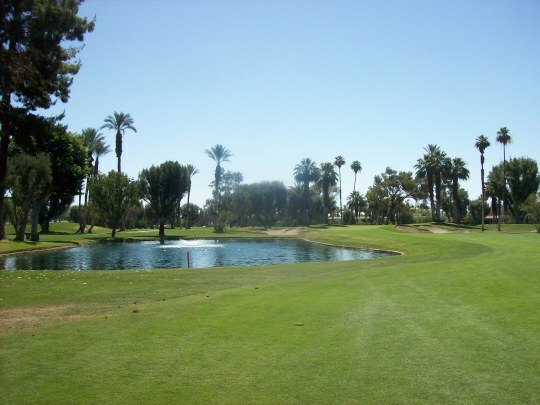 Usually, you have to sign up for all four days, but since there were some openings, they were nice enough to let me join for just the final round at Tamarisk for a prorated price. 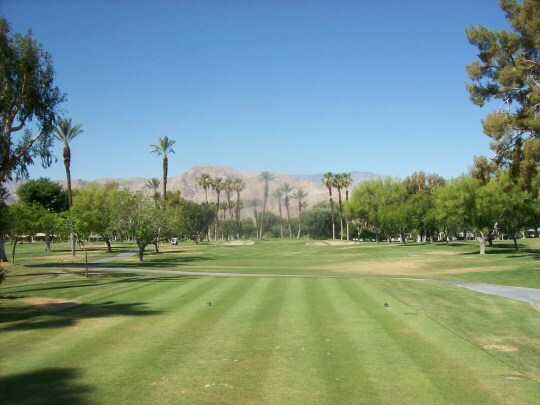 Obviously, many courses in the desert have been in the rotation for this tournament or the Skins Game at some point, but Tamarisk Country Club was one of the inaugural four courses that hosted what was then called the Palm Springs Desert Classic in 1960. It was in the rotation 18 times over the years. History clearly runs deep at Tamarisk. 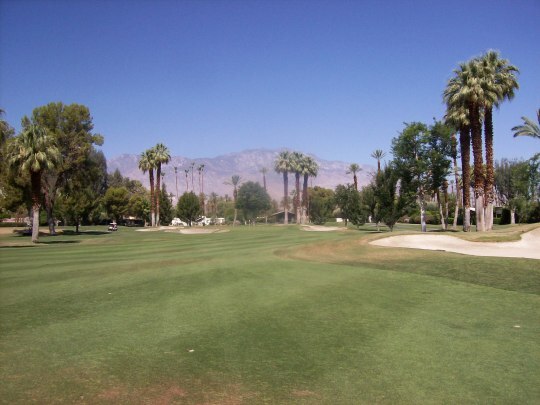 It was founded in 1952 and is supposedly the second oldest 18-hole private club in the Coachella Valley. 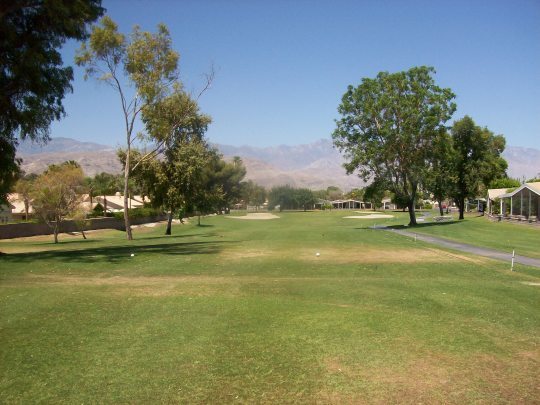 The 9-hole O’Donnell CC is the oldest active course out there, I believe, but I’m not sure about public and/or other 9-hole tracks that may have pre-dated Tamarisk. Either way, it’s one of the original old school tracks. The outing was a 7:30 shotgun and my group started on the 11th tee. Our front nine went really quick (about 1.5 hours) and then we ultimately caught up to the groups and it went a little slower the rest of the way. 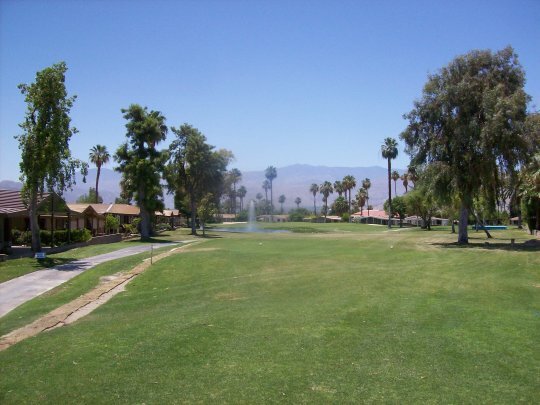 Still, a 3.5-hour pace is practically unheard of in any SCGA outing. We were the first group to finish and it couldn’t have worked out better. 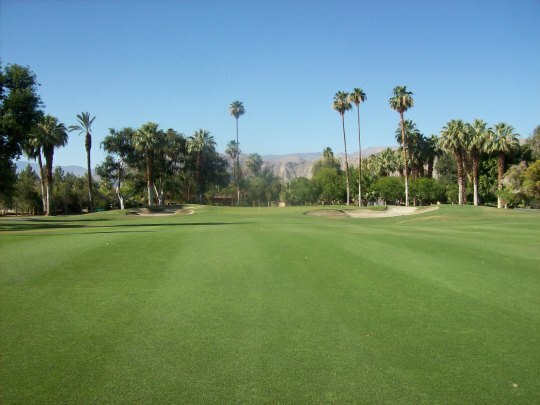 Tamarisk was designed by William “Billy” Bell, who is responsible for many old courses throughout Southern California. 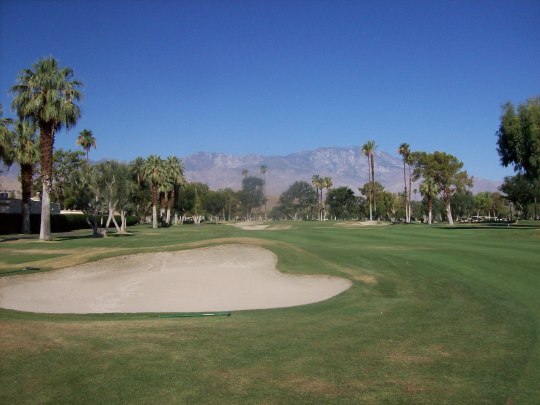 Though the flat terrain of Rancho Mirage doesn’t offer the natural hills and undulations that you’ll find at many of his courses, there’s a classic old charm to the design. 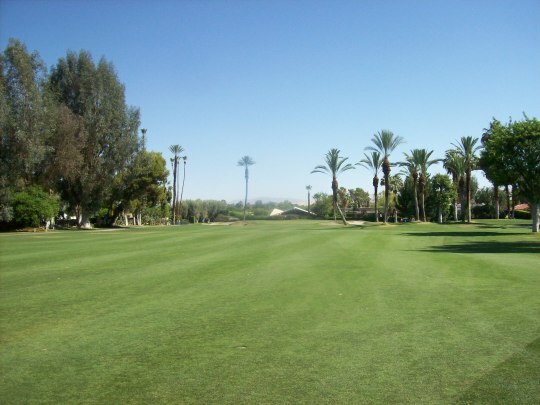 For the most part, the course lays out right in front of you. 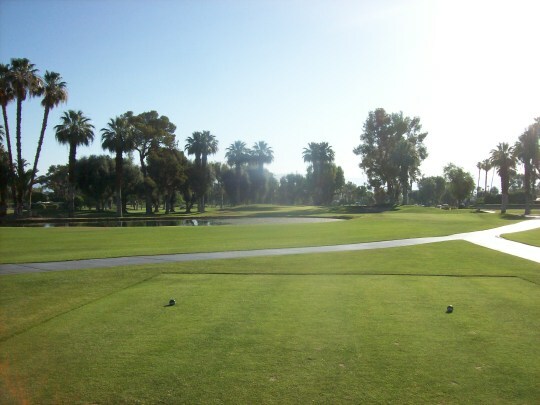 It is relatively forgiving from tee to green, but the dangers are clear as you stand over each shot and accurate play is rewarding. 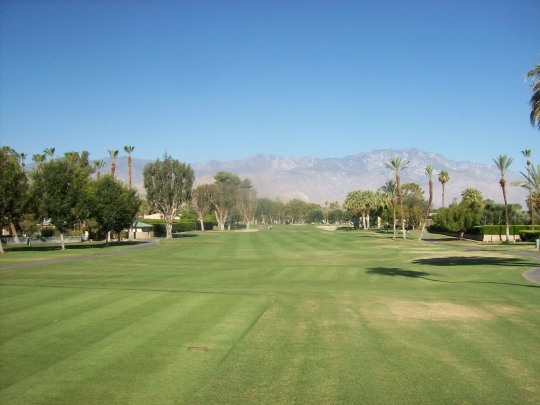 My group played the white tees at just under 6,000 yards, which were further up than I wanted to play (I would have preferred the blues around 6,300). Based on the design and the positioning of fairway bunkers and other hazards, I would presume these two sets of tees were the originals when the course was laid out. 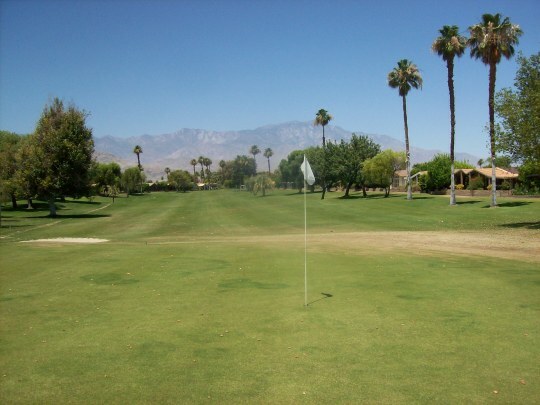 You can tell the further back gold and black tees are forced into a few awkward spots and the distances to the trouble areas seem more “correct” when playing from the blues or whites. 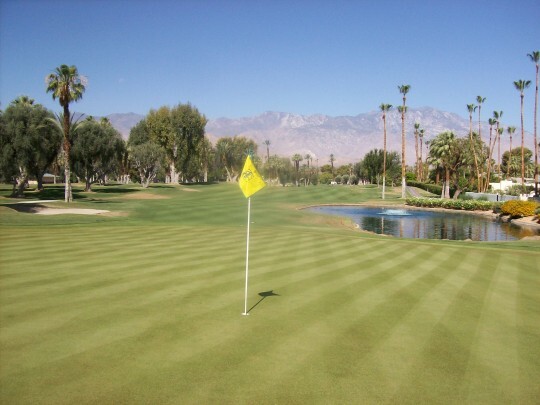 Even with well-placed bunkers in the fairways and protecting the greens, as well as a handful of nice water hazards, Tamarisk is still not an overly challenging course. It’s not as much of a pushover as it appears either, but you can get away with some poor shots here and there. 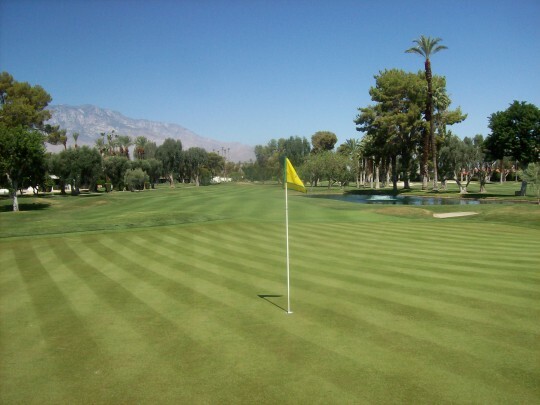 The greens are relatively small, so it does pay to be accurate on your approaches. 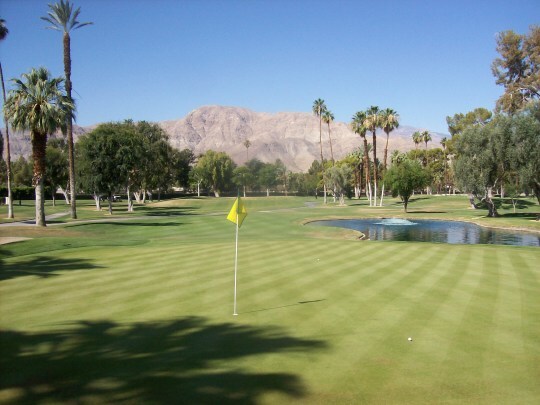 Otherwise, it’s a pretty traditional old school kind of Palm Springs course lined with tall palm trees and surrounded with some older 50s/60s style home that hearken back to those classic times when the desert was a popular getaway for the Golden Age Hollywood stars. Many of the homes have funky sculptures and fountains out in the yards overlooking the course. 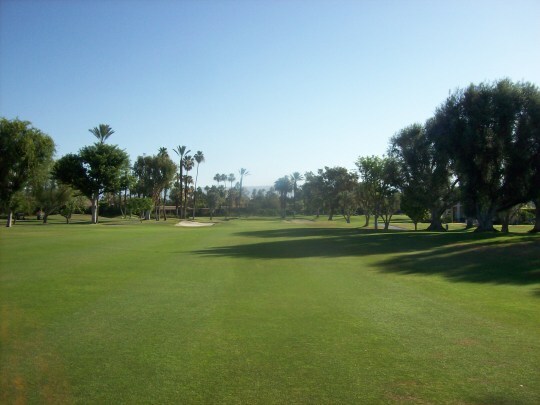 The course was in nice shape overall as it’s in the very beginning stages of summer transition. 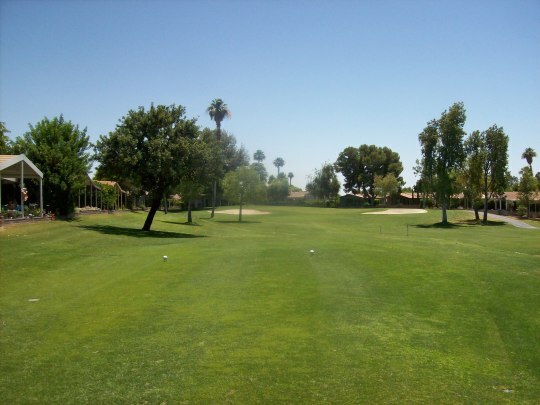 There are some browned-out spots scattered through some tee boxes, fairways and rough, but the turf was cut nice and tight, so I always had ideal lies to hit from. The greens were the real highlight. They were downright excellent. They were firm, but receptive. They were silky smooth and medium/fast in speed. I couldn’t ask for much better in the desert this time of year. I was in a few bunkers. They weren’t super fluffy so not everyone would enjoy them, but I actually like them exactly the way they were. 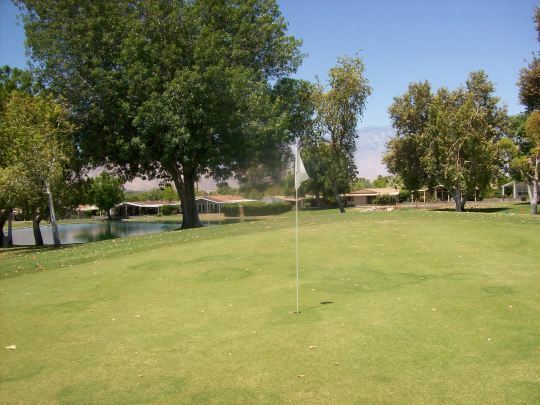 Tamarisk Country Club is not a destination course and it certainly doesn’t offer the dramatic views and landscaping of the newer style desert courses. 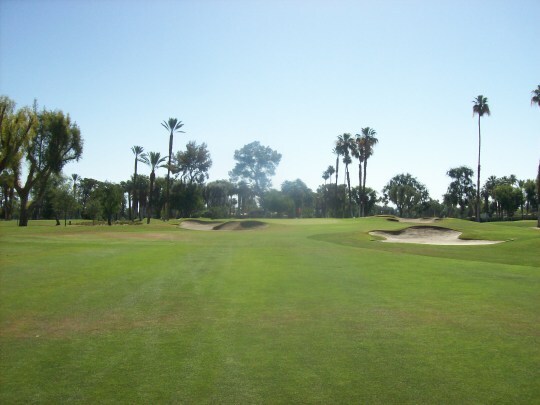 It’s a solid old school layout with an overall vibe that I would describe as “pleasant” throughout your round. 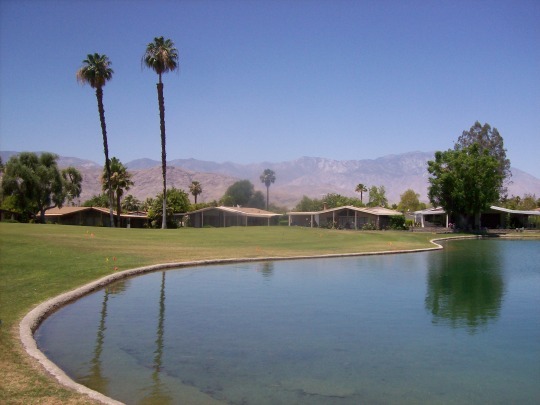 It won’t blow you away, but there’s something inviting about the traditional design, minimal clubhouse and rich history. Somehow, this course got filed on my master checklist as a “private only” club. 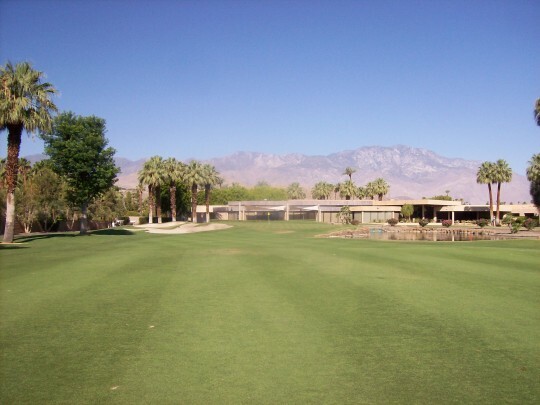 Even though it’s just a 9-hole executive track, I always thought it was just for residents of the little community where it sits. However, I recently noticed something that referred to it as “semi-private” and after asking around, it seemed like one that was very easy for public to access. I called ahead and they said to come on out, as if there would be space to squeeze me in. 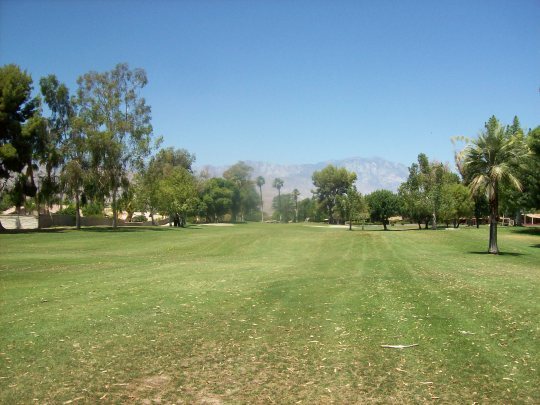 When I arrived, there were just a couple cars in the parking lot and the temperature read 100 degrees, so I could tell it was going to be a quick and easy round. The nice older guy running the pro shop seemed excited to see someone come in. 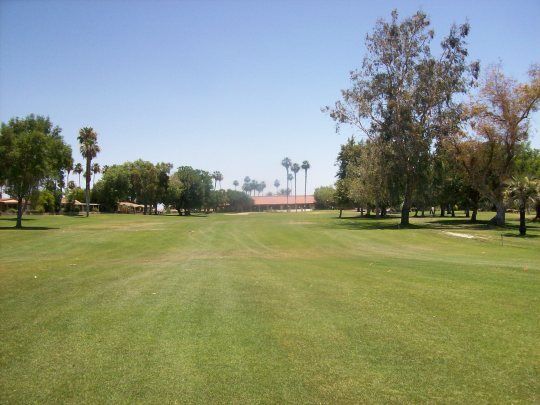 I paid my $21 for nine holes (including $6 extra for the cart, which was well worth it in Sunday’s heat). The cart also came in handy because I was literally the only one out on the course during my brief time there. I was able to zip around quickly and get on the road home to relax and enjoy the remainder of my Sunday afternoon. 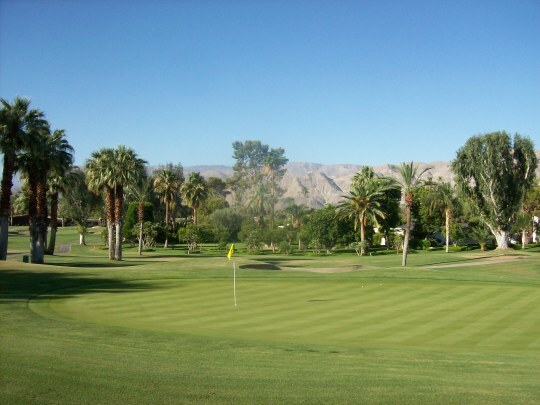 There isn’t too much to note about the Suncrest golf course. As I said, it’s a 9-hole executive, playing to a par of 33. 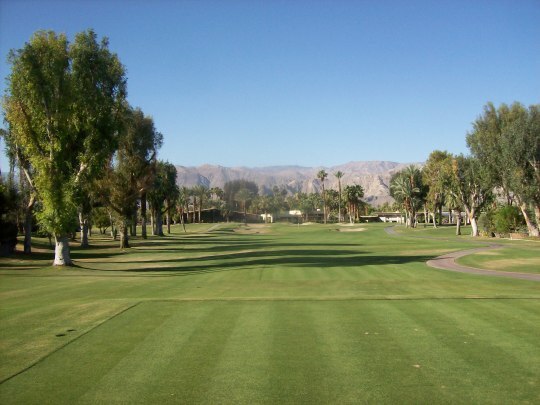 It features five par-3s, four par-3s, four par-4s and even a par-5. 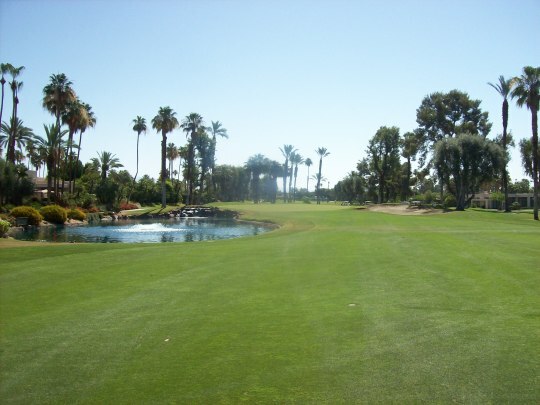 The par-5 is rather short at just 451 yards from the blue tees, but the rest of the holes are respectable in length. The par-3s and par-4s are a pretty average mix of distances comparable to anything you’ll find on a standard regulation course. There are some funky parts of this layout and I wondered if the blue tees were added in later because some of the angles felt extra awkward. Still, it’s nothing overly exciting or difficult. The 8th is probably the best hole as a 150-yard par-3 over water and without much room for error behind the green. I hit my ball just barely over the back of the green and ended up losing it on someone’s porch! The course is in okay shape at best, but better than expected considering it probably gets very little play this time of year. 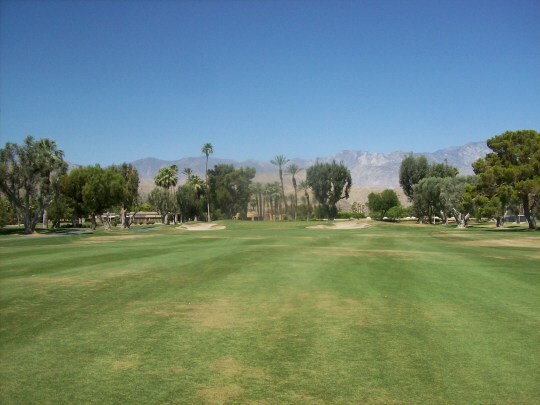 Overall, the tee boxes, fairways and rough had pretty good grass coverage with some bad spots here and there. The main nuisance was the amount of dead leaves all over the course. It kind of had an “it is what it is” feeling as if there was no real reason to maintain it that much. The greens looked ugly (kind of sandy and dried out), but they played decently. Putts rolled smoother and faster than expected, but that’s a relative statement to how poor they appeared. I was in a couple bunkers and they were pretty much just hard-pan with a very thin layer of sand to work with. 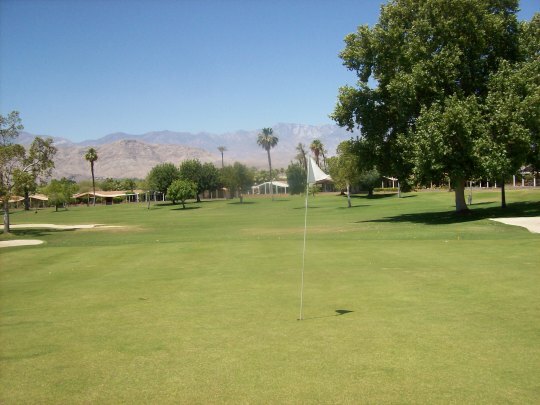 In summary, Suncrest is not a course worth going out of the way for (especially in an area with such an abundance of amazing golf), but it was another one to check off my list in the desert and I enjoyed having it all to myself for a short while!